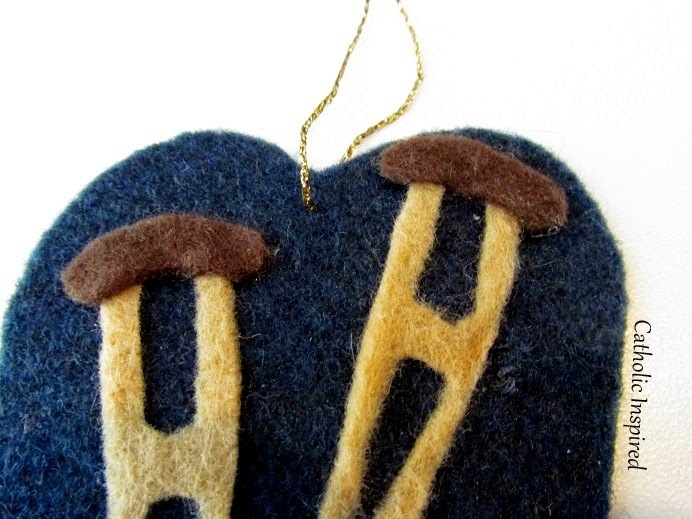 Here is the first of this week's ornaments. I wanted to put them all in one post again like I did the last few weeks, but my crafting helper, Elizabeth, left on a camping trip with her grandparents. So we haven't totally finished the rest of this week's ornaments. When she comes back we will finish making the ones we have already started. In the meantime, here is the one we finished for St. Jane Frances de Chantal. 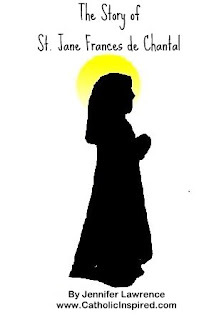 St. Jane was an interesting woman, and I could tell you all about her, but instead I'm going to direct you to an ebook I created several years ago for my oldest girls when they were in the Little Flowers Girl's Club. This is a short printable book I wrote to teach all the girls in the club about her. Just download the book from our shop! 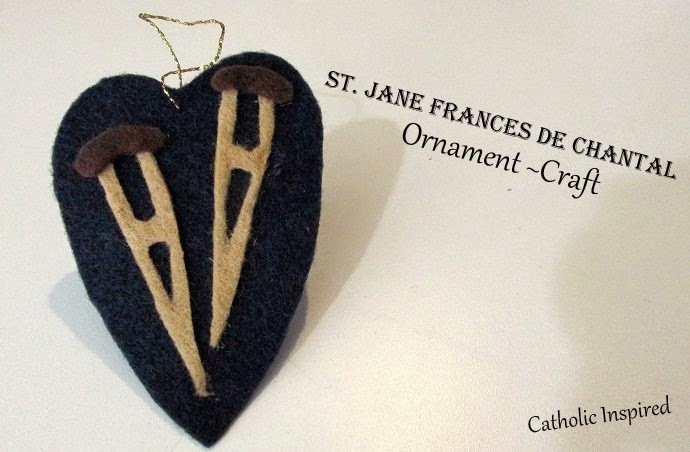 St. Jane's ornament has a set of crutches because she started a special order of Nuns (The Visitation of Our Lady). The women in her order were sick, old, and/or crippled, and these nuns, although sick, old, and crippled, would care for those who were ill (mostly those who were sick from the plague). 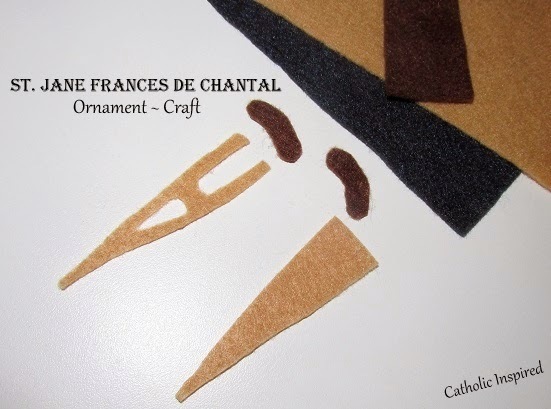 This ornament was made using light brown, dark brown, and black felt. We first cut out two long light brown triangles and then folded them in half to cut out the center parts of the crutches. We used dark brown to make the top of the crutches. We glued them onto the black felt (black because the nuns wore black) and we cut it into the shape of a heart. It's now hanging on our liturgical tree. Don't forget to download the ebook in our shop!